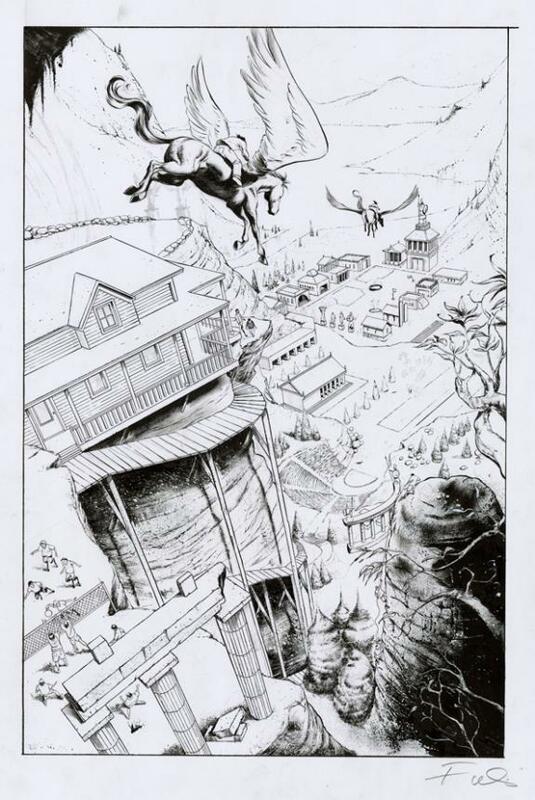 Percy Jackson fans and collectors of original art take note: Attila Futaki’s original pages from our graphic novel adaptation of The Lightning Thief are now available for purchase online through his art agent. As the proud owner of Page 40—the moment when Percy falls into the creek at Camp Half Blood and his life changes forever—I can tell you firsthand that Attila’s pages are a fine addition to any wall space. You bet. That’s exquisite! I’m a big fan of Rick Riordan’s work, and I’ll surely get my hands on your adaptation.